Walker Cunnington Architects » Blog Archive » Cemetery Chapel Underway! 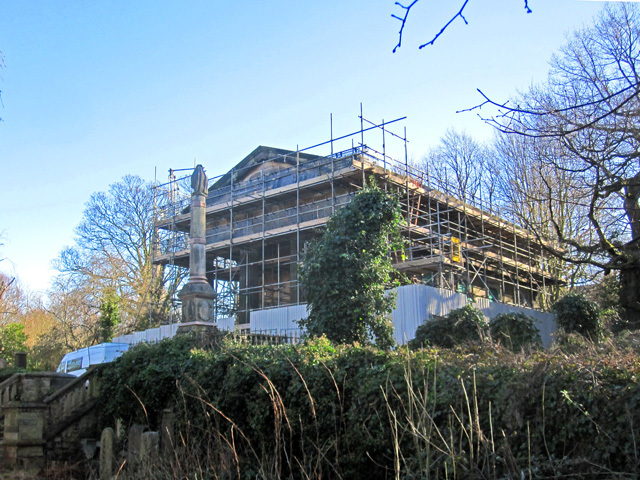 After a lengthy hiatus, during which time the final negotiations over funding have been completed, we are delighted to confirm that works on the project to rescue the iconic grade II* Non-Conformist Chapel at Sheffield General Cemetery are now well underway. 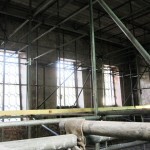 the building has been fully scaffolded inside and out and the windows have been unblocked to reveal their original design for the first time in decades. 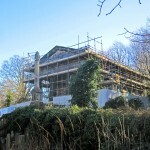 Further updates on progress of the project will follow over the coming months with works due to complete in June 2015.